Trusted by the world’s leading customer-facing brands, Vee24’s Live Engagement Platform is designed to maximize the potential of online sales and customer support through the power of chatBOTs, voice chat, video chat, text chat, co-browsing, and screen sharing as one omni-channel experience. Optimized for mobile, tablet, desktop and kiosk users from any browser, it creates a personalized experience for each customer interaction. Our Live Engagement Platform allows you to interact with your customers through their channel of preference, such as Text, Voice or Video Chat, SMS, Email, or Social Media. 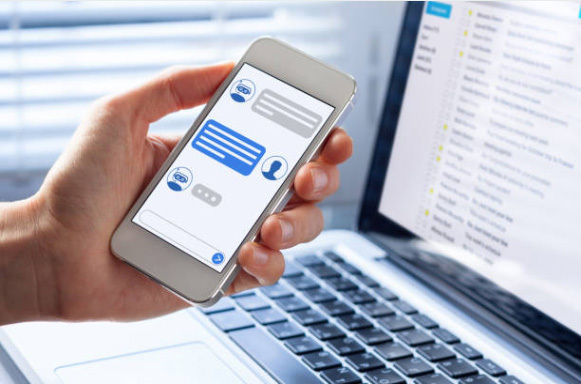 Vee24’s Live Engagement Hub offers text-to-video transfers and allows customers to start a chat with a BOT, transfer to a human agent or have a multi-party conversation. Our integrated screen share, co-browse, multi and mobile cameras allow your store agents to walk the online customer through your physical store and for the customer to use their mobile phone camera to show your experts their product issues for instant solutions. Vee24’s integrated AI engine allows you to proactively target the right customers based on their user journey with our automated NudgeBOTs. Once engaged, our sophisticated machine learning Customer Assist ChatBOTs can provide 24×7 service. Trained to reflect your brand personality in all conversations, they learn from every customer interaction and have the ability to seamlessly transfer to your customer care team when appropriate. Vee24’s Agent Assist BOTs will make your Customer Care teams several times more productive, eliminate queues for customers and dramatically reduce your costs. Focused on ease-of-use for your agents, the platform is packed with rich productivity and personalization tools, wrapped with intelligent automation. Scheduled appointments, checklists, email integration, and seamless CRM integration empower each agent interaction. Vee24’s platform comes with a full-featured reporting platform that provides live dashboards on engagements as they take place, a key analytics dashboard that offers business intelligence at a glance, and an in-depth reporting suite to drill into the specifics of your sales and support metrics, customer and product insights, agent productivity, and much more across all your live engagement channels.